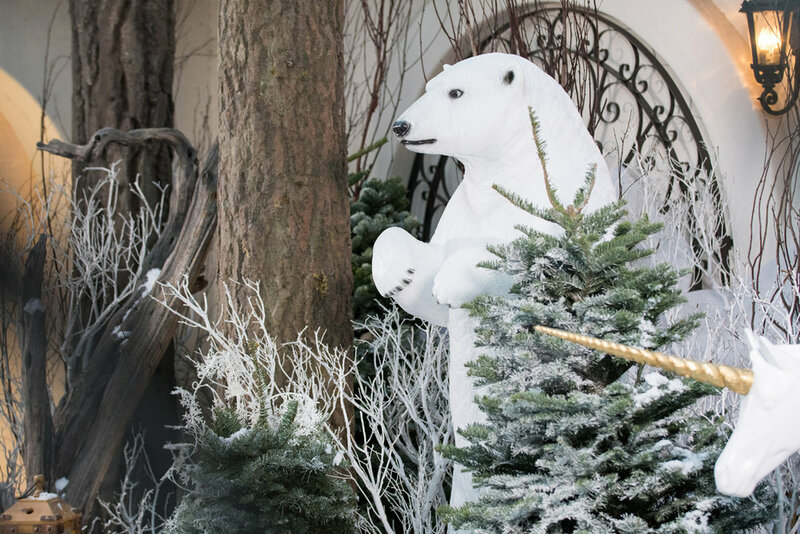 If you have ever read, "The Lion, the Witch, and the Wardrobe", or perhaps have seen the movie, you know that the White Witch used her magic to cover Narnia in perpetual snow and ice. 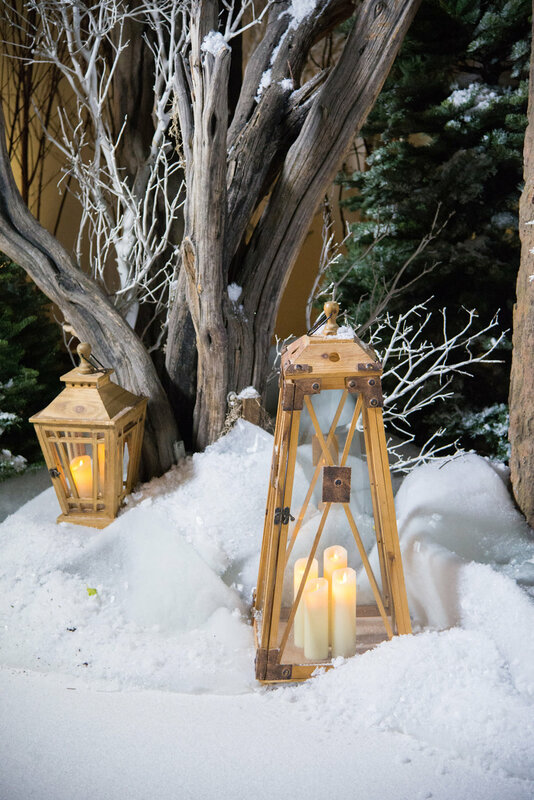 While no witches were used in the making of this event, we were inspired by the beauty of Narnia's Age of Winter when creating this opulent winter wonderland for our corporate client, Green Dot. 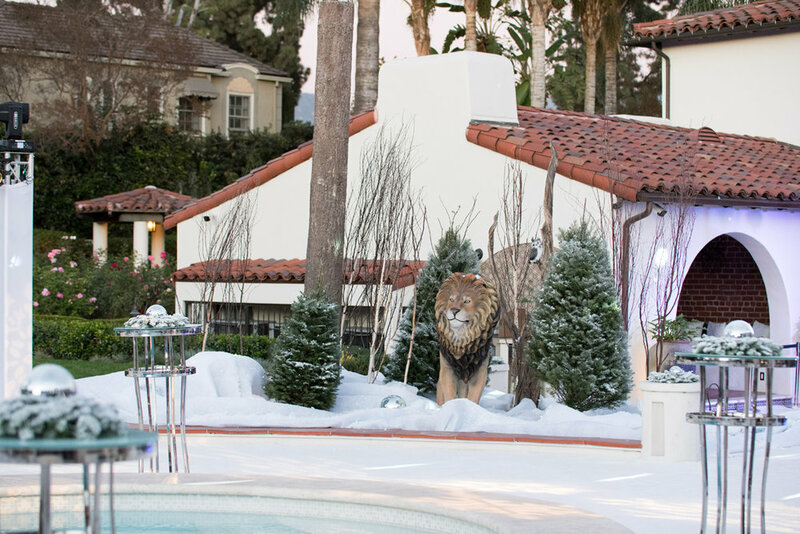 The location for this wintry playground was a gorgeous estate in Pasadena, California. 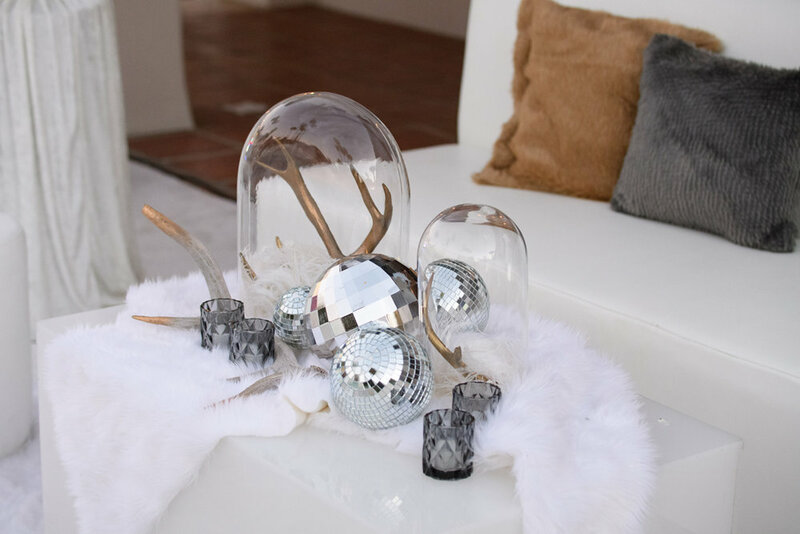 We wanted guests to feel as though they were truly experiencing a white winter. We covered the entire backyard patio in white carpet and brought in snow! 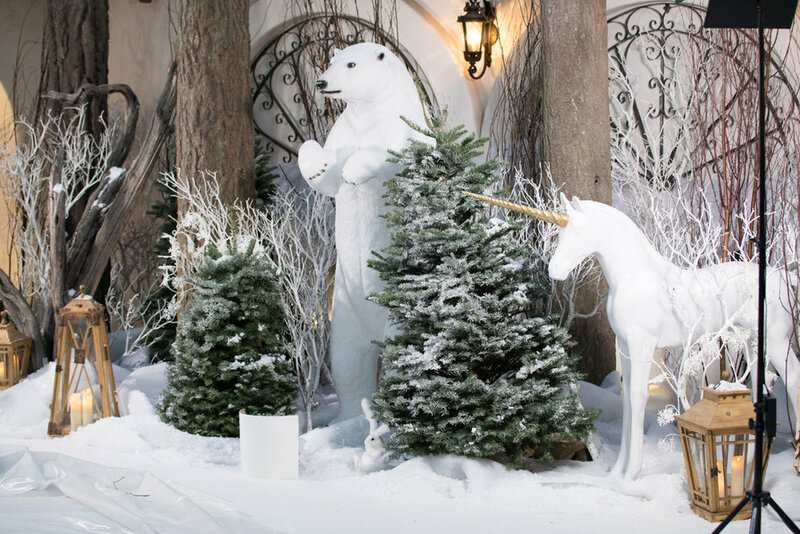 Every wintry wonderland must have a life sized polar bear and unicorn. 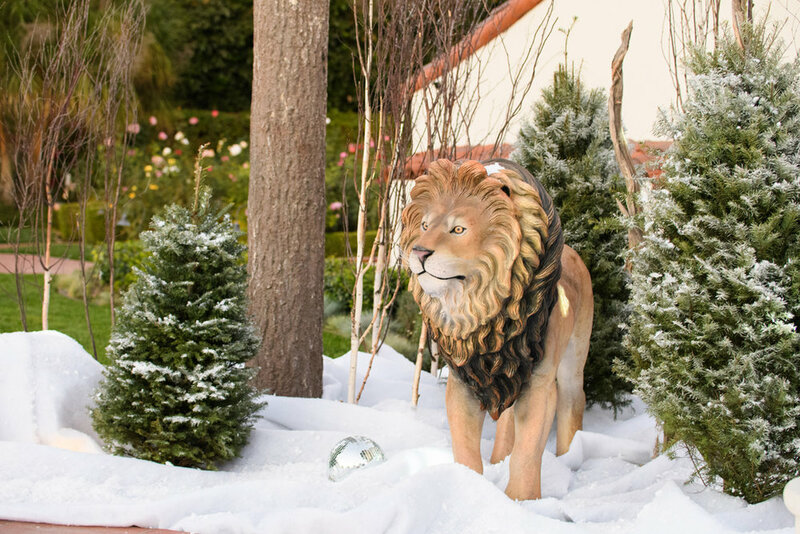 "Aslan" looking very regal as he oversees the party prep. In addition to a full bar, we created a space where guests could enjoy a cup of espresso, cappuccino, latte, or hot cocoa. 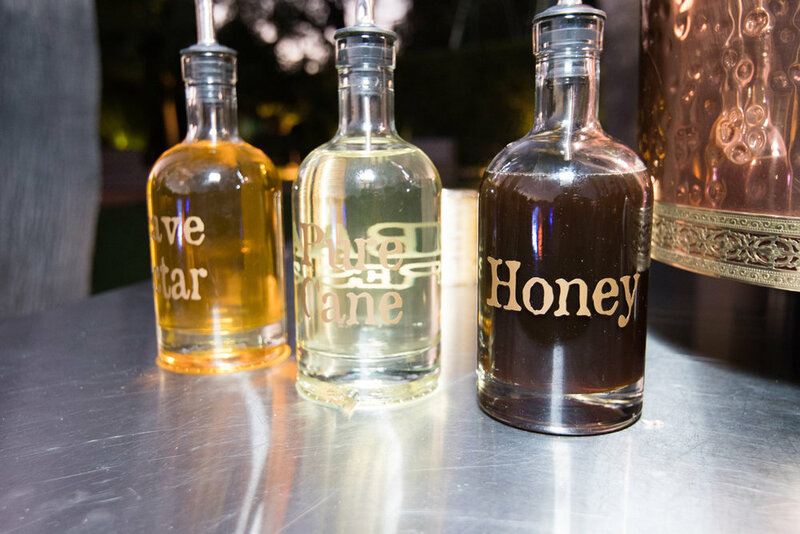 They could also choose from a menu of specialty drinks. 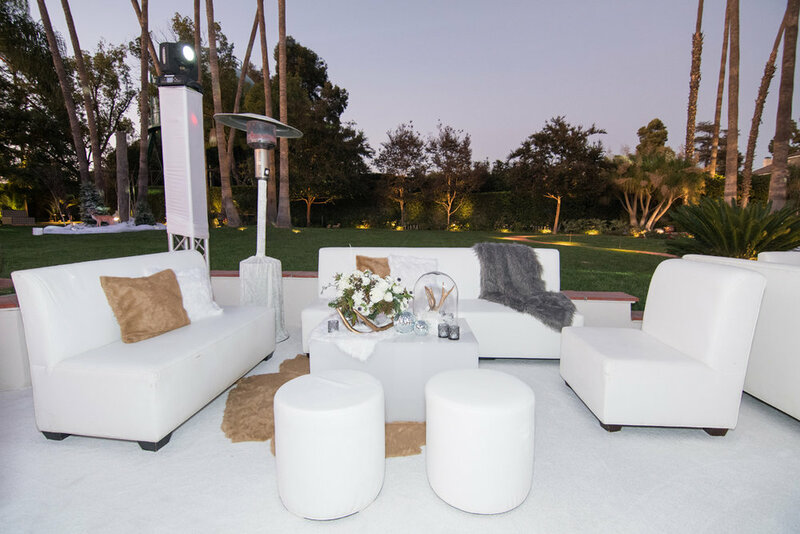 Every bit of concrete was covered in white carpet, custom cut to fit every inch of the space. From a distance it looked as though the backyard was blanketed in snow. 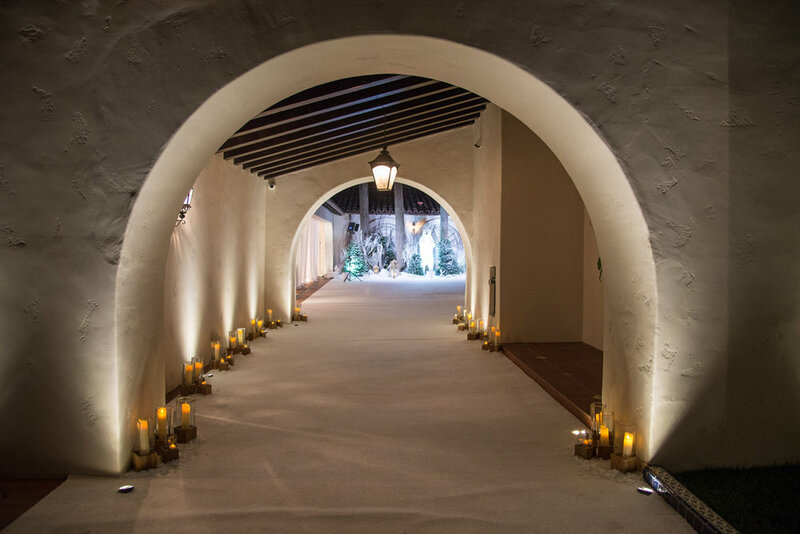 Guests entered the party through this candlelit "snow" covered walkway and were greeted by the life sized polar bear and unicorn. 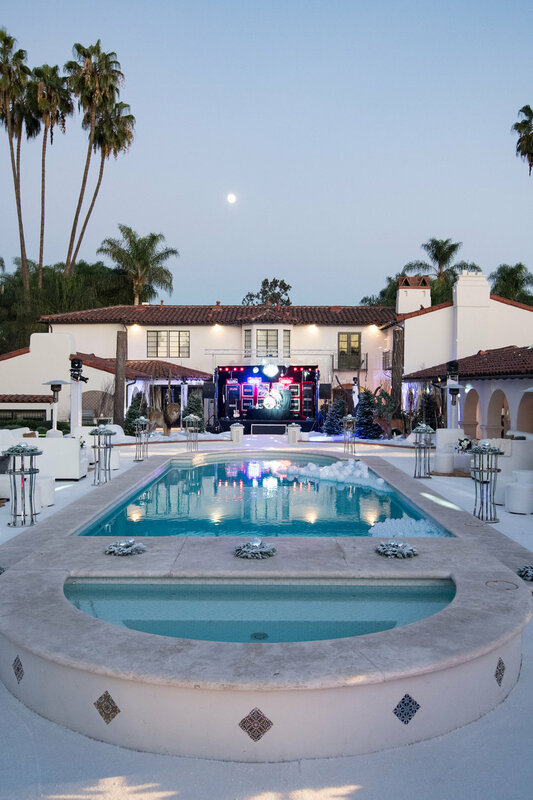 The second photo shows the view from the end of the walkway looking out from the party. 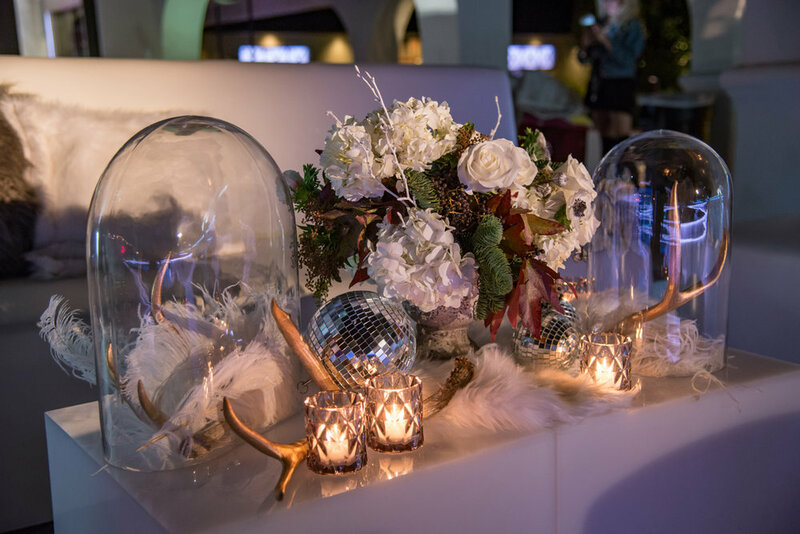 Gold antlers, winter florals, shiny disco balls, votives, and (fake) fur blankets surrounded the pool in intimate seating areas. 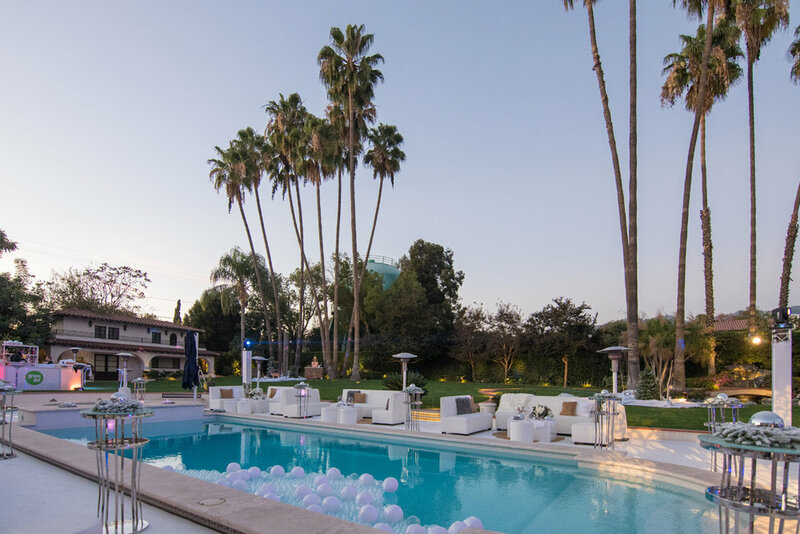 This estate in Pasadena is incredible. Notice the snowflakes dancing on the front of the house. 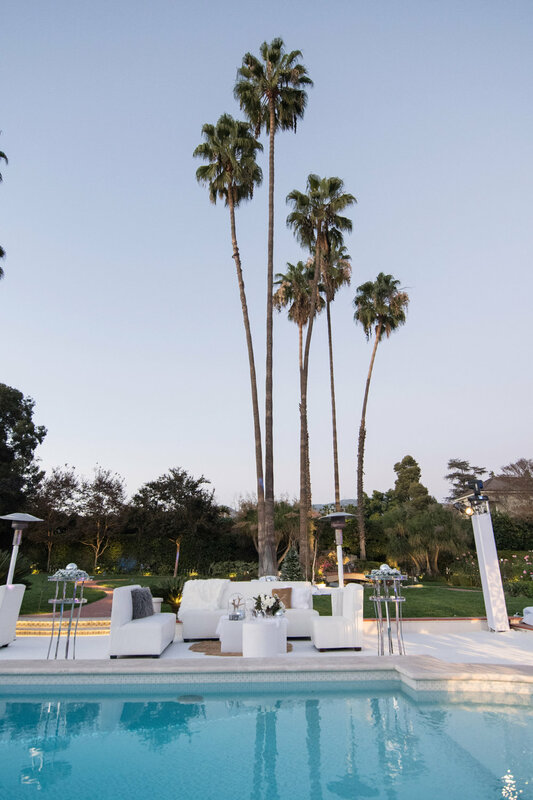 This "snow fairy" seemed to glide effortlessly across the pool and amazed the guests with her water sphere acrobatics. 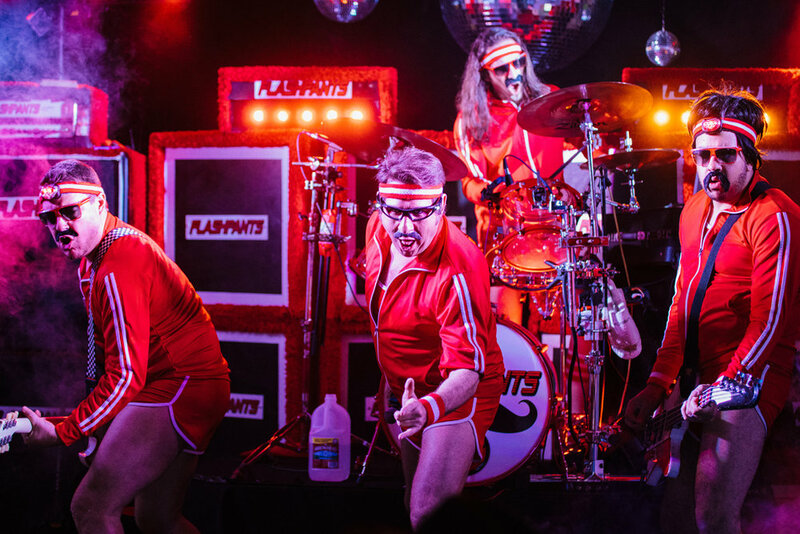 Our clients wanted fun music, great entertainment, and something their guests would remember...enter "FlashPants", a high energy 80s dance party band. 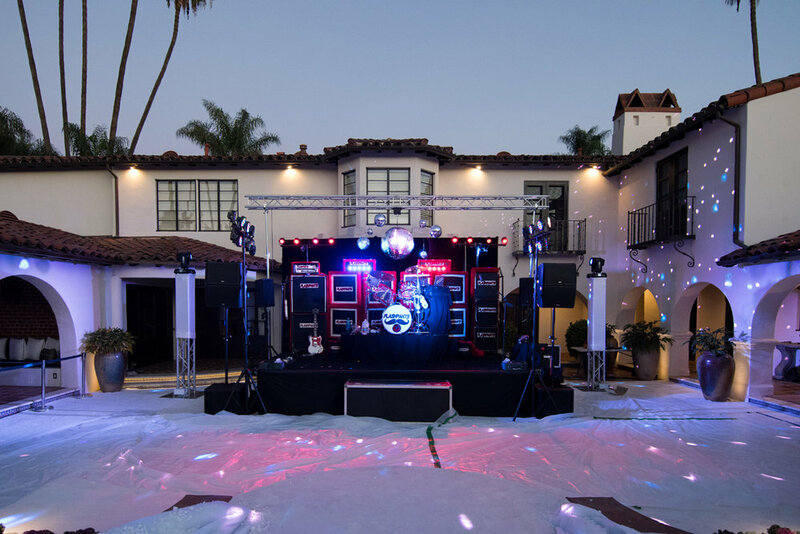 They are the most sought after 80s cover band in Southern California and was even featured on the "Gong Show". The show doesn't end when they stop playing music either. 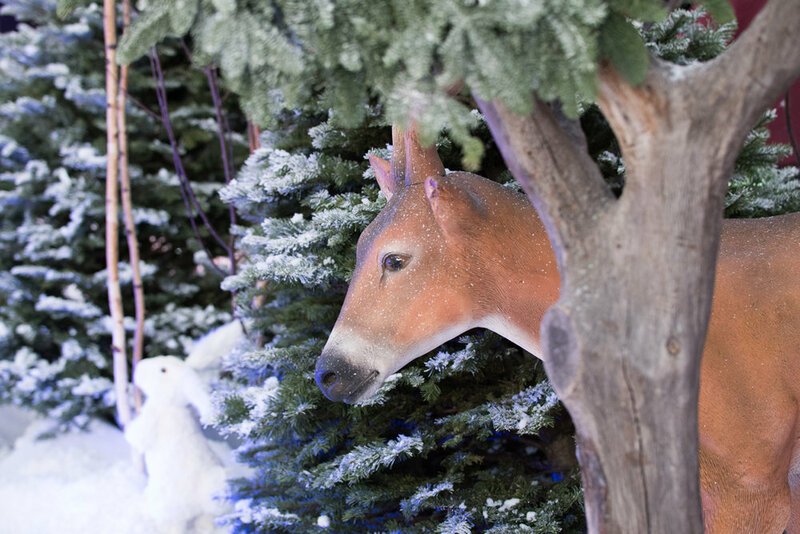 They get in the crowd, dance with partygoers, and never miss a chance to photobomb! Guests having fun with the mustache stickers the band threw out into the crowd. We couldn't resist including this sweet picture of wife and husband team, Loriann (owner of Wife of the Party) and Herick (owner of Happen). And that's a wrap! Want to get a sneak peek behind the scenes? Watch our videos to see how it all comes together in our last post.